If you’re a regular reader of Classfare, you know by now that we’re fans of long form journalism — telling thoughtful stories on great brands and the individuals that create them. But sometimes (read: December), you simply need to find a last-minute Christmas present. With that in mind, we recommend a personal item made from a sturdy metal. And while gold and bronze are having their day, it’s hard not to admire the timelessness of an item made from textured machined metal. The material is at once elegant and tough (not to mention exquisite in its handfeel). We selected three of the most stylish (and useful) items from textured machined metal we could find. Substantial in weight and class (but not in price) these are perfect as compact but thoughtful gifts for that special someone. Even if that someone is you. IM Corona Lighters are among the most reliable lighters in the world, and their Old Boy Chomium Lighter is one of the most classic. 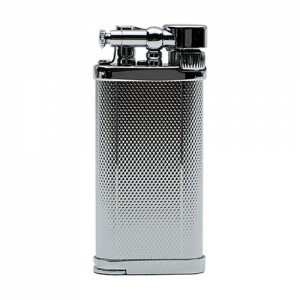 Manufactured in Japan, this butane lighter has a large fuel tank for long-lasting use between refills. A fully adjustable flame angle allows for the perfect lighting of both pipes and cigars and a straight flame for regular use. 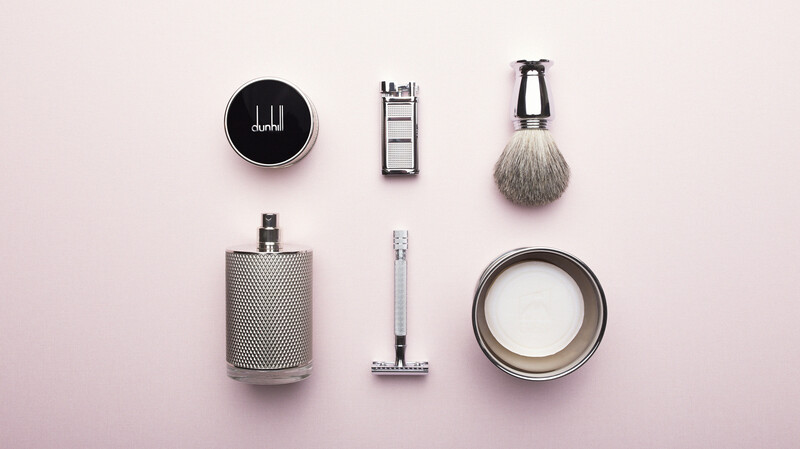 For the person in your life who’s looking to enter the wide world of safety razors, this starter kit from German brand, Merkur, is ideal. 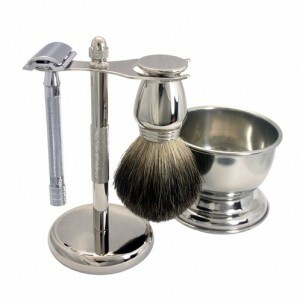 The set includes everything necessary for getting started, including a long handle safety razor, pure badger brush, metal stand, bowl, and shave soap. British fashion house Dunhill launched Icon in early 2015. 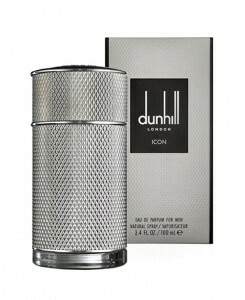 The creator (perfumer Carlos Benaim), describes Icon as “The perfect expression of natural refinement, a translation of the luxurious and classic heritage of the Dunhill house with a touch of modernity.” The composition is aromatic-woody with an opening of fresh bergamot and neroli absolute. Its heart includes spicy and aromatic notes of black pepper, lavender, and cardamom, leaning on a woody base of smoky oud, vetiver, leather, and oakmoss.